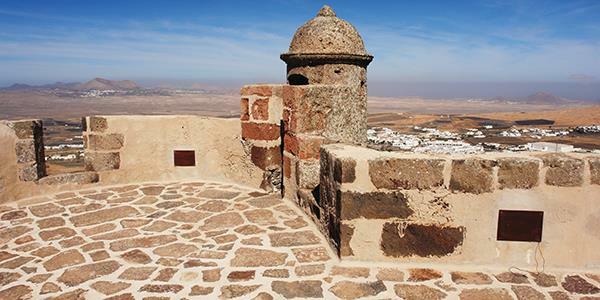 Soak up some of Lanzarote’s history at the Santa Barbara Castle. 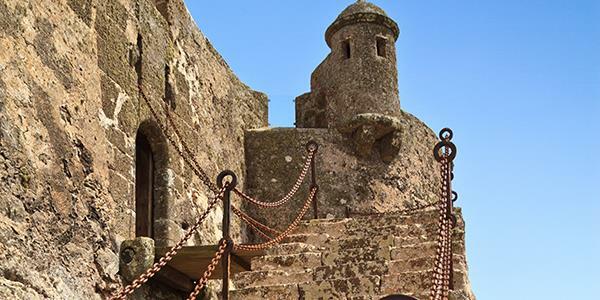 This impressive defensive structure is positioned at the edge of a huge crater above the town of Teguise, with stunning views out over the island’s surroundings across to the sea. It’s thought that Lanzarote was first settled back in the 2nd century BCE but it wasn't until the 14th century CE that that the Spanish came across to colonise it, and it was at this time that the Castillo of Santa Barbara was built. Unusually, this impressive fortress sits on the edge of the crater of the volcano Guanapay. It claims a strategic position overlooking the town of Teguise but, unfortunately, we don’t know a great deal about the original structure. The fort was left to go to ruin and it wasn’t until the 16th century that a new castle was built again on the remains of the old one. 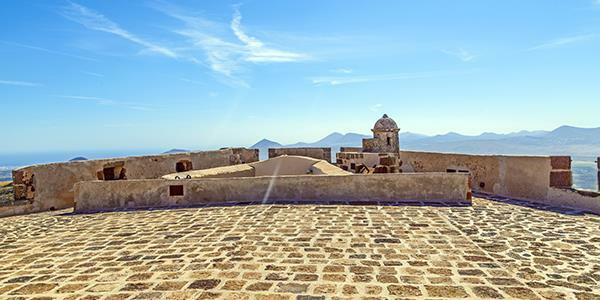 This 16th century structure is open to the public and you can explore the walls and admire the views for yourself. At a time when pirates were rife on the Spanish and Canarian waters, and the islands lay in a strategic position for boats travelling to and from Spain, the fortress was essential for the protection of Teguise and the other island towns. The fortress was used as a lookout post to warn against impending attacks and today the building houses the island’s pirate museum, as a nod towards its history. The Castillo de Santa Barbara is just a short distance from the historic centre of Teguise, which was the island’s original capital city. It was supposed to house the inhabitants of Teguise in the event of an attack, but in 1586 it was sieged and underwent a great amount of damage. The renovations that took place in the aftermath improved the impressive castle, making it stronger and larger. There is even evidence of an 18th century cistern that can still be seen in the centre of the crater. It was quite the complex! In the 20th century the fortress was restored and transformed into a museum, allowing visitors to experience the history. There are displays inside with written information detailing the history of piracy in the Canaries. You can walk or drive to the museum from Teguise and the entrance fee is €3 for an adult, though it is free to park and walk around the Guanapay crater if it’s just the views you’re after! From the Av. Gran Aldea in Teguise there is a big sign at the side of the road directing you up towards Santa Barbara. The fortress itself is open most days between 10am and 4pm.